Little known fact. Moosilauke is an ancient Abenaki word for babyheads. Moose-hillock literally means "crowning fetal moose." 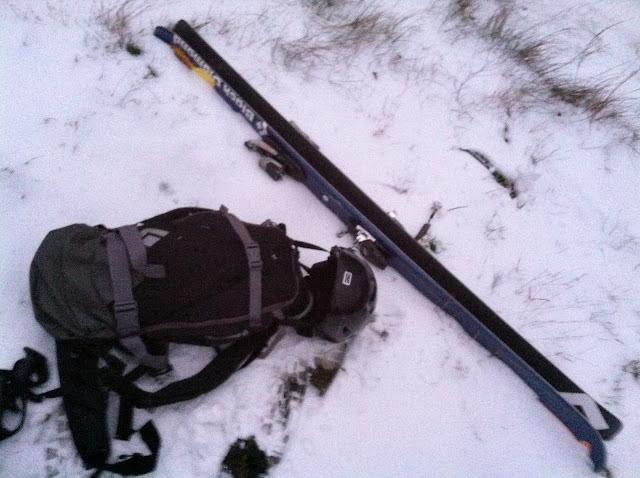 A horrible image to describe an even more horrible early ski season phenomenon that I've never before encountered. 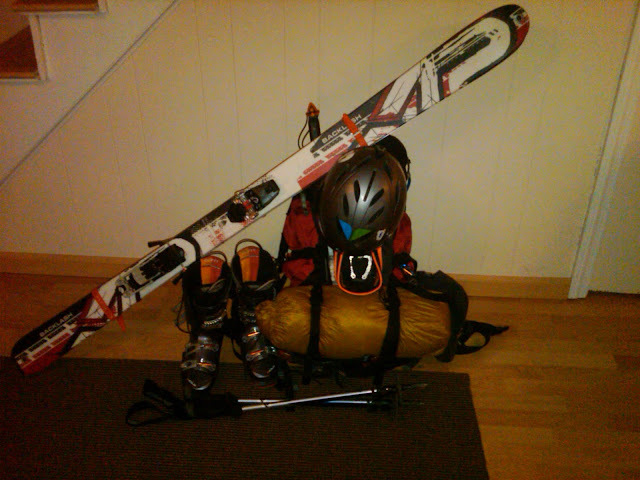 Until this morning, my first ski tour of the season. 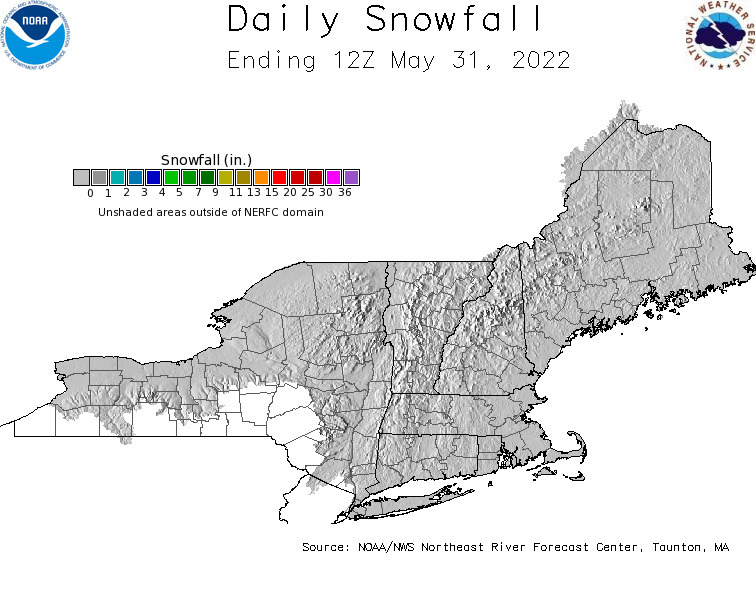 I'd been talked into a solo dawn patrol of Moosilauke late last night by Andy, who made a number of excellent points about the importance of getting a 2012 NEBC tour of The Moose on the books as soon as conditions allowed. This made me realize how much time I spend in New Hampshire. You demanded and we responded! How many First Ascent items can you spot? While everyone was out getting the jump on their holiday shopping this weekend, you were probably doing some lame thing like spending time with family, climbing a mountain or getting in a few last runs of mountain biking. Now you only have a month of shopping left! Have no fear, because today is internet shopping day. The day the state tax collector hates. So while you're cruising around feeding the flames of your internet shopping addiction, be sure to check out our seven favorite deals for the backcountry skier. Why seven? Cause we couldn't settle on five. So you're trying to figure out what Santa should bring you for the holidays. Or maybe you're Santa and the elves went on strike in with the Hostess workers and now you're left with several million unfilled wooden car orders. What is there to buy? Where do you start? Not a bad view from the tent door. 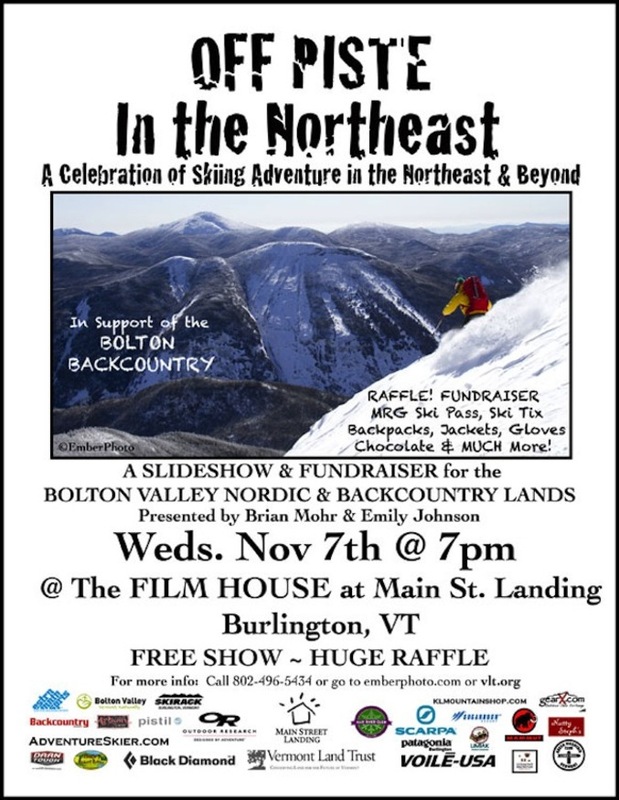 Was there ever any doubt my favorite tour would be from the Gulf of Slides on Mount Washington, NH? 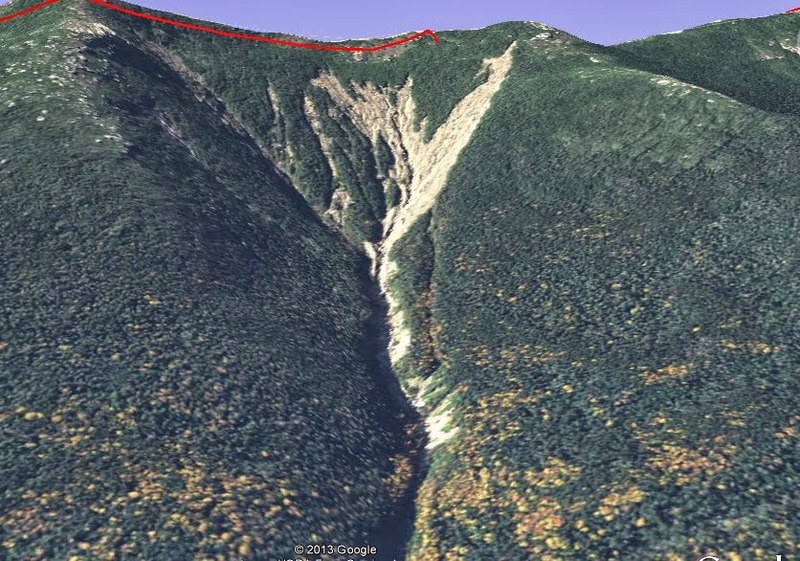 Number two on our list of favorites is to the infamous North Tripyramid Slide near Waterville Valley, NH. Sometimes you go into the backcountry and don't want to leave. 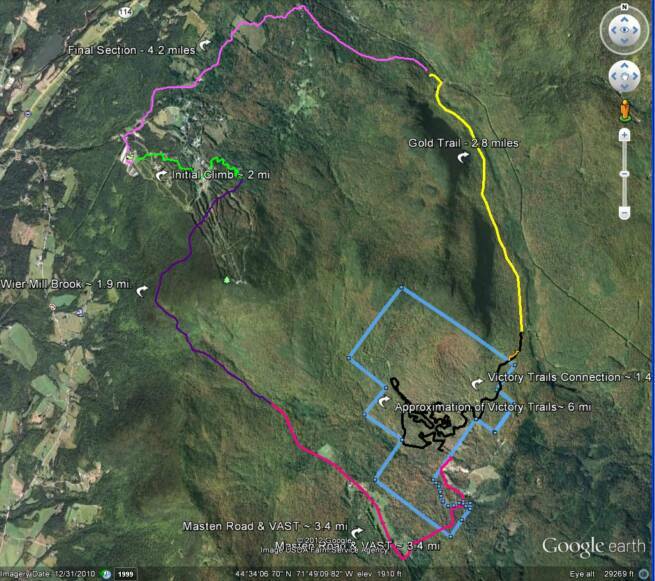 The slide and surrounding palatial glades were some of the best skiing we've ever seen. Too bad I was wearing the wrong skis. 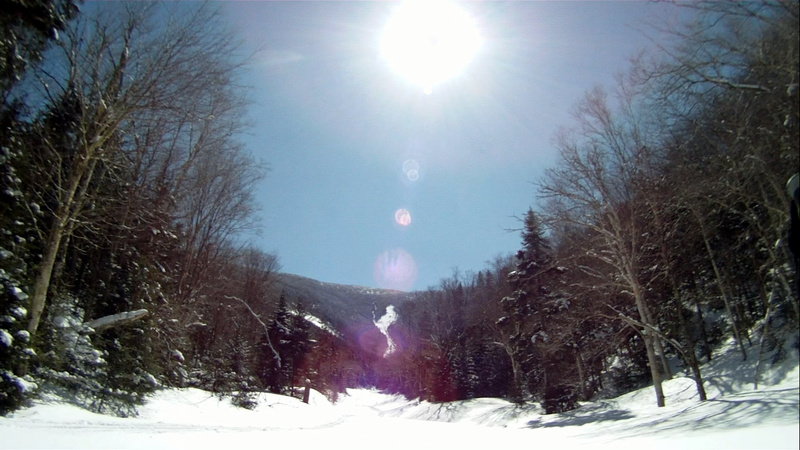 When the sun lines up like this over North Twin, the Mayans predicted epic skiing. Number three on the countdown was actually a culmination of three trips to find and ski the slide and surrounding glades on North Twin in New Hampshire. 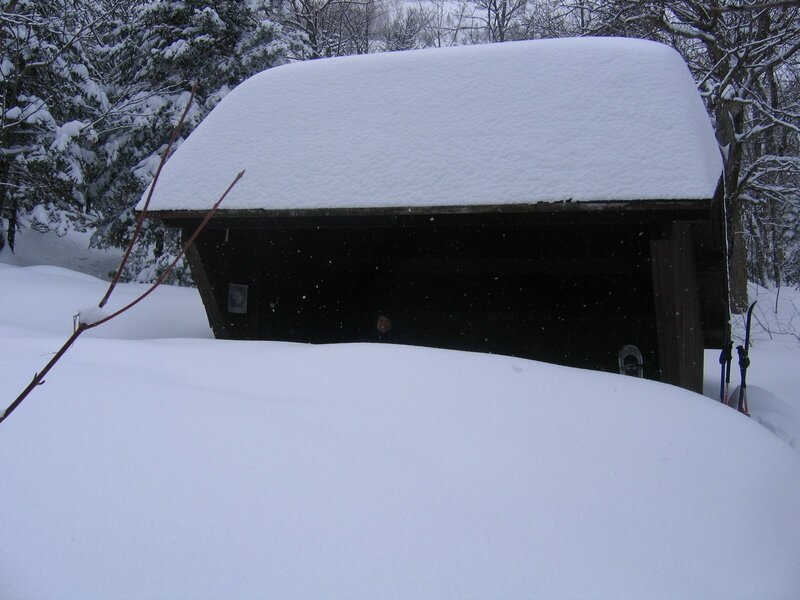 If the Baldface shelter looks like this, there's a good chance the ledges are skiable. Coming in at number 4 on our list of five favorite backcountry excursions is a trip to South Baldface in New Hampshire from a few years ago. November has me eyeing the stationary trainer again with a mix of disdain and desperation. The weather has turned grey and rainy. I've eaten all the leftover Halloween candy and crashed off of a three week sugar high. It is time to go to my happy place where I relive five of our favorite backcountry ski tours. Come live in the past with us for a while. Baldface showing a little stubble. Just like the thin cover of creepy facial hair that sweeps across men's faces in November, so too is the terrain transformed by a thin cover of snow. This is where you realize you should have worn sunscreen. 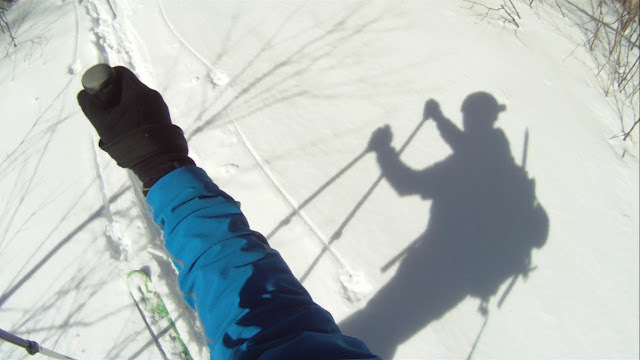 Are you pumped for this backcountry ski season, yet? If not, let me throw another log on that bonfire of backcountry stoke and see if we can't get you corking those backcountry skis so compulsively you'll be able to see your reflection in the wax. 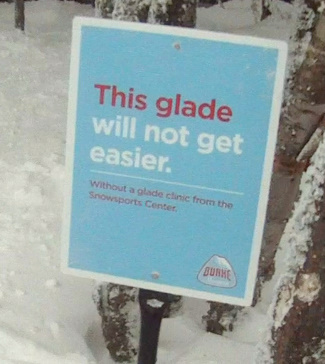 My favorite trail sign of all time. 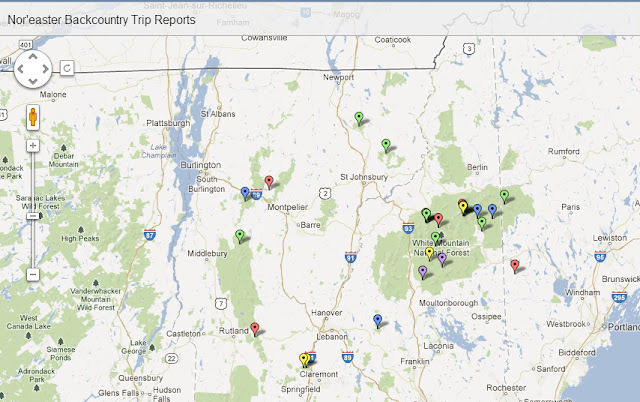 The pre-season is fast becoming "the season" as ski areas have been opening around New England. 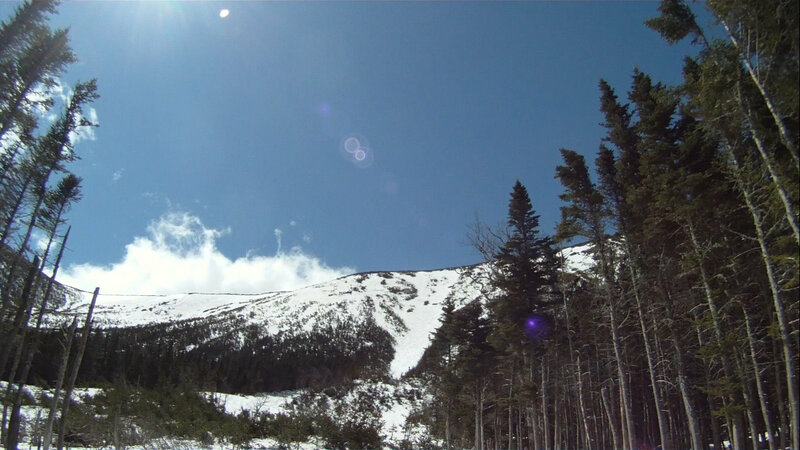 Killington, Sugarloaf, Stowe and Sunday River all have the guns firing and lifts running. Others are soon to follow. I got up a little early this morning. As the first winter Nor'Easter of this season bears down on us it's time to make sure you have all the equipment needed for your backcountry adventures. 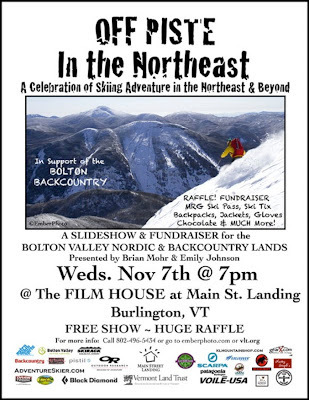 If you're a fan of the Bolton Backcountry, like we are, here's your opportunity to make sure those lands remain accessible to the public. 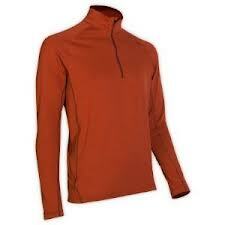 My friends over at Eastern Mountain Sports sent me one of their Power Dry 1/4 Zip shirts a couple months ago and asked me to let them know what I thought about it. This had the potential of posing an ethical dilemma. What if I hated the damned thing? What if it was a piece of crap that immediately settled on the bottom of my drawer? What if it put a pox on humanity and brought about the apocalypse? What would I do? Say nothing? Write a scathing review? Luckily, my potential moral pickle was avoided when I discovered I actually liked it. The course map. Of course. Twenty four miles. Three thousand feet of climbing. Bridgeless stream crossings. A soul-crushing twelve-hundred foot, three and a half mile 7% grade climb straight out of the starting gate. Speeds approaching 30 mph down a glorified streambed covered with leaves. Twisty singletrack up the side of a mountain that makes FOMBA look like an airport runway. And let’s not forget the half-dozen or so mud pits big enough to make your redneck friends build a bonfire, buy a case of beer and make a mess of their favorite truck. These are the foes that line up to do battle with your psyche when you step up to the start of the CircumBurke ride.